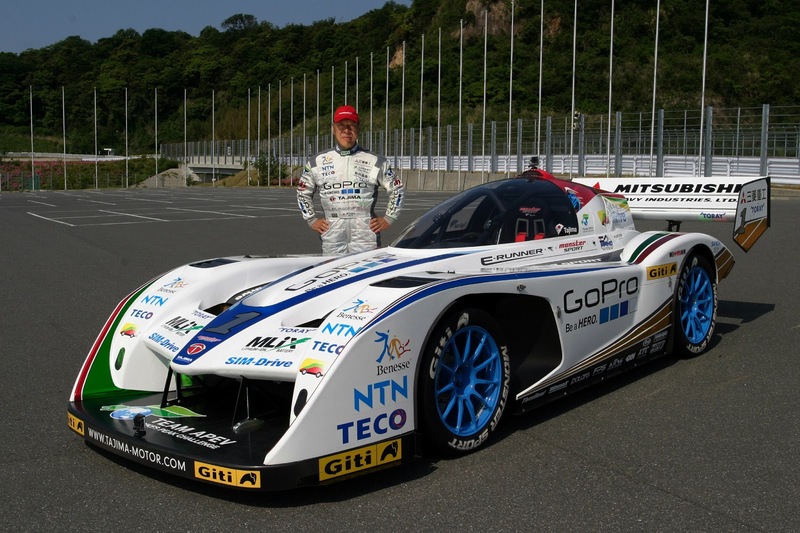 Team APEV with Monster Sport shall once again challenge the 2013 Pikes Peak International Hill Climb (June 24 - 30) in Colorado Springs, USA. 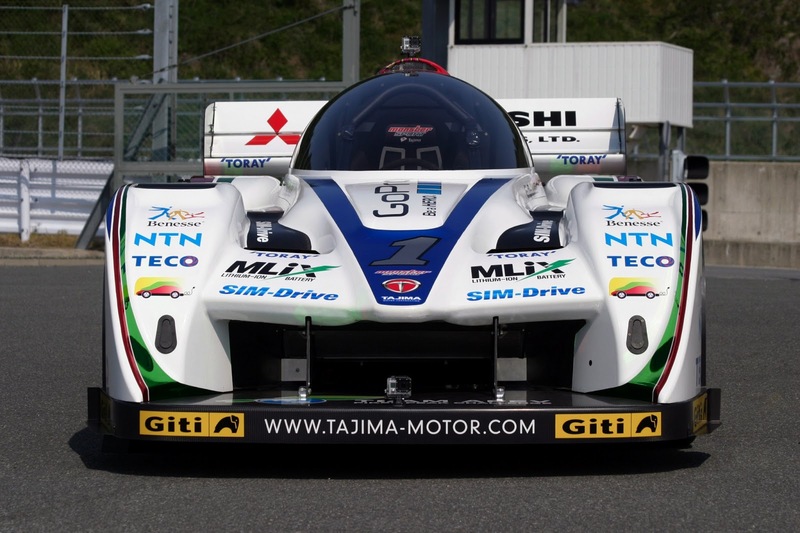 In just one year this project has attracted its share of attention especially so, as the defending champion of 6 consecutive wins, Nobuhiro Tajima ("Monster") switched from his famous record breaking petrol race car to and Electric Vehicle. 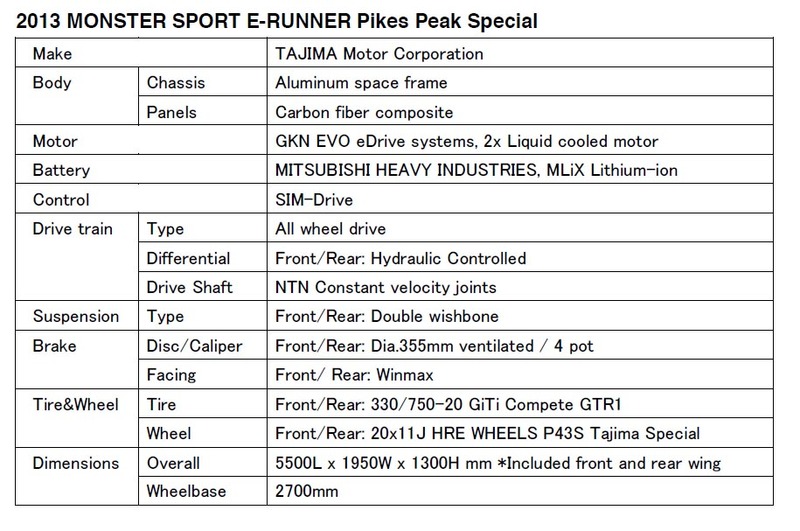 The 2013 Monster Sport E-RUNNER Pikes Peak Special race car is an all-improved version based on last year's model. Improvements have focused primarily on reliability and the reduction of vehicle weight every single vehicle component has been reviewed and revised. resulting in a much lighter and durable package. 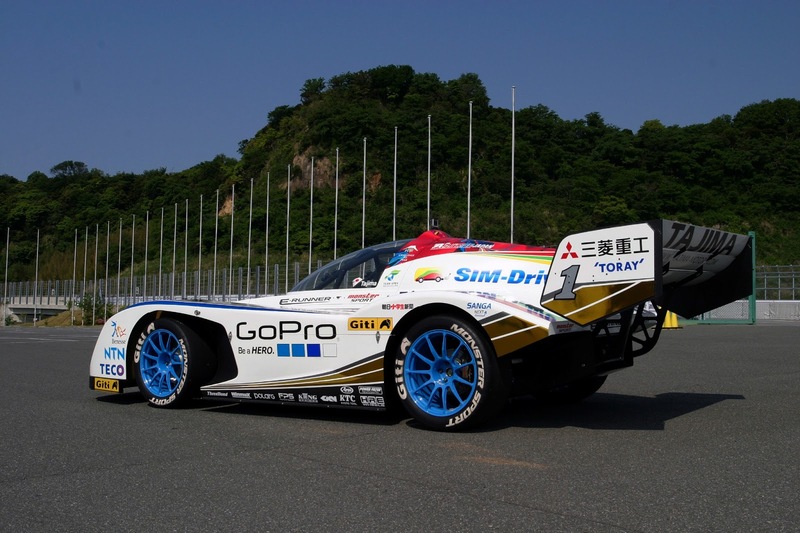 SIM-Drive Corporation, provider of additional engineering support to the team, introduced a 4 wheel independent control system, a controller that realizes optimal drive power distribution and reduction of energy consumption. 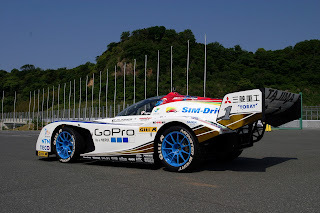 Furthermore, new regulations introduced this year now permit the use of racing slick tires. 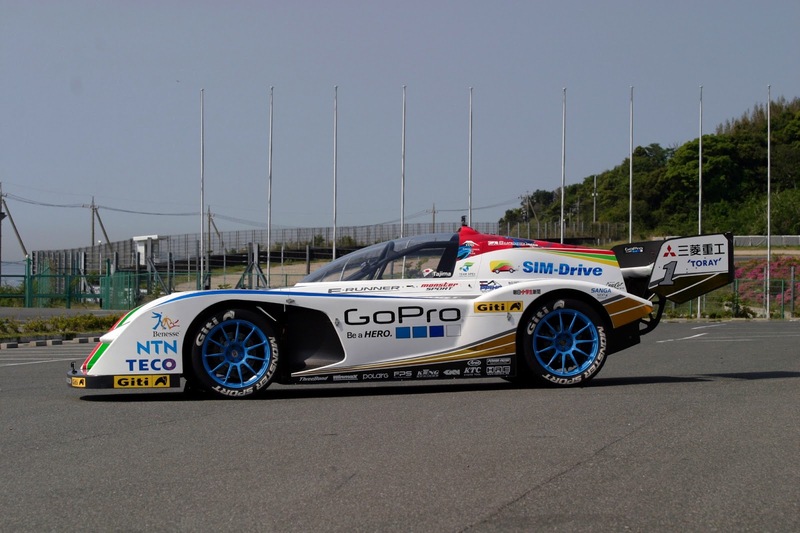 The Team is pleased to announce their new tire supplier for 2013; GiTi Tyres have cooperated and worked closely with the team developing tires for exclusive use at this year"s Pikes Peak event. 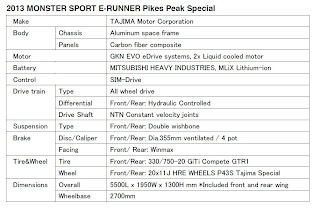 By considerably reducing the 2013 Monster Sport E-Runner"s weight, reviewing, upgrading and the application of new technology to specific driveline parts and the addition of custom designed GiTi tires for this event, the team's target time is now 9 minutes 30 seconds. 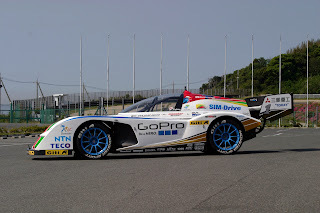 The 2013 Pikes Peak International Hillclimb is sure to be the most exciting challenge and ultimate showcase for Electric Vehicles in motorsport to date. 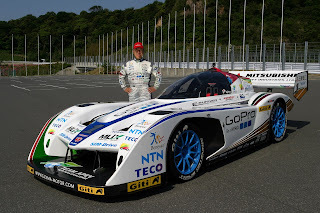 Once again this year, alongside the challenge of the race, The Association for the Promotion of Electric Vehicles (APEV) will be actively working towards the preservation of the global environment and the proliferation of EV (electric vehicles) throughout the World..